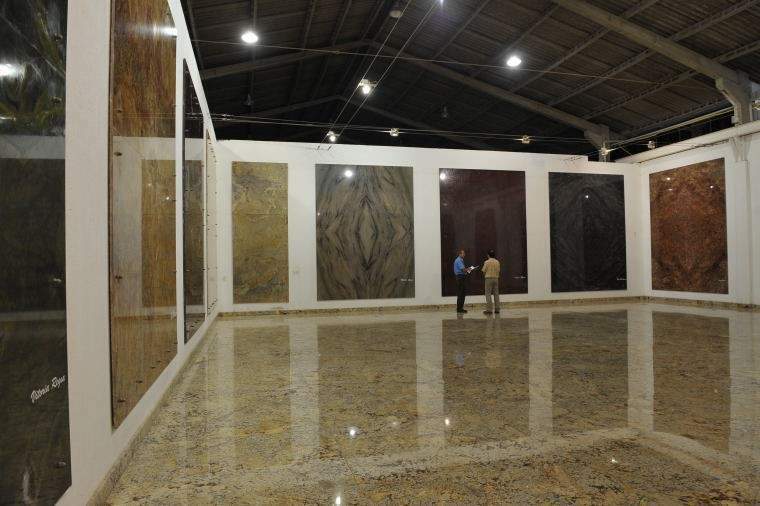 (August 2009) Marketing for natural stone is best done with natural stone. As simple as it sounds, Brasigran of Brazil took this wisdom to its outer limits in hanging huge stone slabs like pictures on the wall. The exhibited pieces are 4 m x 3 m. „The showroom is an important sales tool. It affords an accurate impression of what the finished project will look like – important for consumers and designers alike“, according to Philippe Bernardo Vicentini of the company’s marketing department. 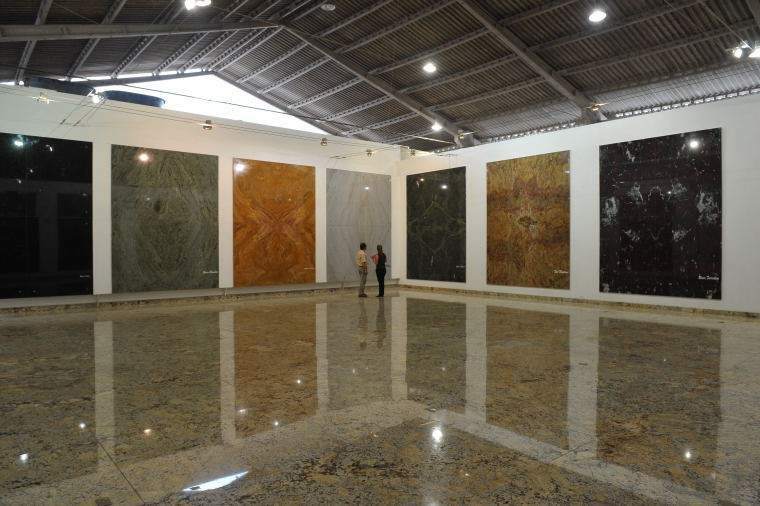 The company is located in Serra’s industrial park, the city which hosts the annual Vitória stone fair. When the company moved there, the mega-showroom idea had not been born, but the space available was the mother of dimension. The costs, too, were huge: about 200,000 Real or 71,000 €. The sum is justified by design. The open books do not support their own weight. The 210 kg slabs are hung like the Mona Lisa albeit on armoured concrete walls. 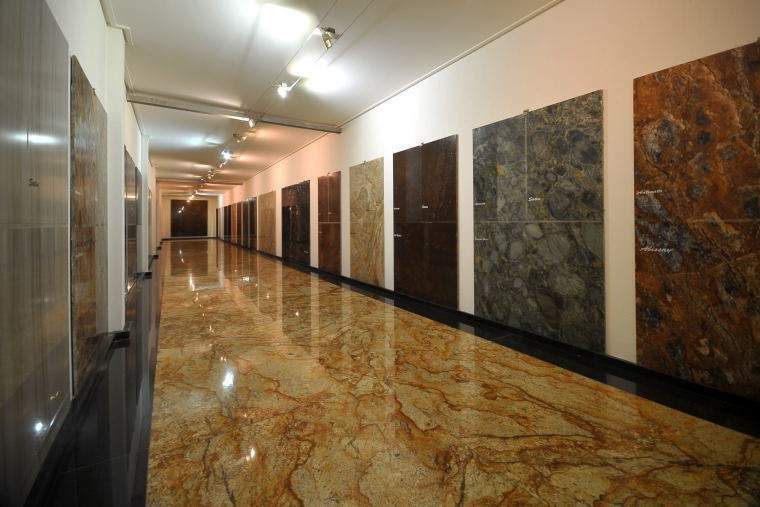 There are two halls for the large slabs and a corridor for smaller samples. Is it worth the effort? „The showroom is Brasigran’s trademark“, says Philippe.